Finally we have some nice summer weather in store for the weekend, although the forecast calls for more sizzle later in the week. Similarly we have some nice summer jazz coming this weekend, but that of course does not preclude steam and sizzle, from Friday right through to the following weekend. We have a new show from the Lyric Factory, the first visit in a few years from sax titan James Carter and his organ trio; another fine line-up early in the week at Jazz Central and the growing list of musicians performing at the Icehouse. And of course, it is still summer in the parks, and jazz is often on the agenda. 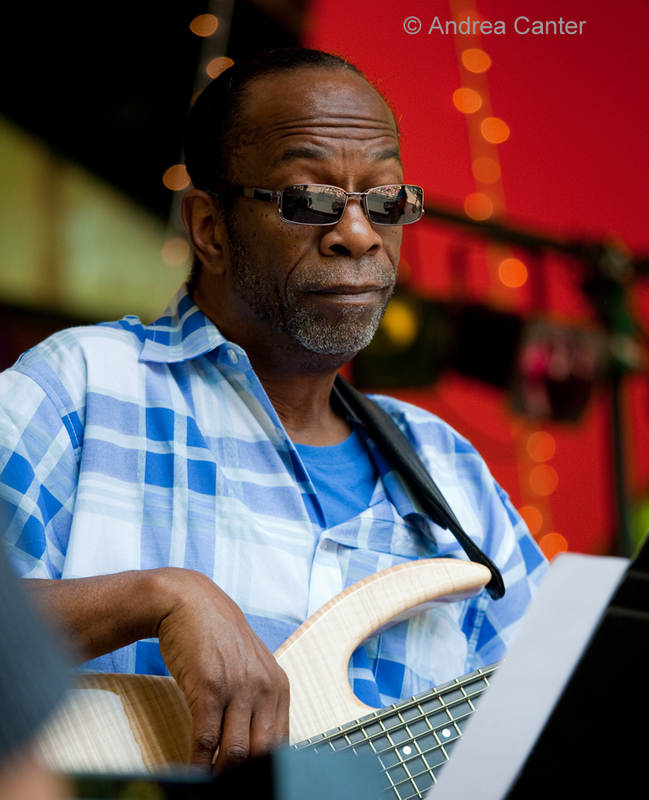 July 27-28: Since he first put together the Lyric Factory a few years ago, bassist Jay Young has proven himself to be as fine a bandleader as first-call support system. After a few performances saluting the great Stevie Wonder, Jay is back at the Artists Quarter with the music of Herbie Hancock and Earth, Wind and Fire, Friday and Saturday nights. Not sure who will be on the bandstand with him, but count on drummer Kevin Washington and colleagues from the McNally Smith Vocal Music Department among others. It will surely be an amalgam of jazz, soul, R&B and lots of fun. Back to back bass/piano duos should keep diners at the Icehouse on full alert this weekend. Friday night, it’s Adam Linz and Tommy O’Donnell, a real treat since we rarely hear Tommy in club settings these days, and we rarely get to hear Adam in the spare duo setting that offers extended opportunities for soloing. Come back Saturday night for James Buckley and Bryan Nichols, offering their unique brand of inventive conversation. South Minneapolis has never been so hip! Part of the Kelly Park Friday nights of music in Apple Valley, it’s MacPhail Faculty Night from 6-9 pm. Featured musician Vicky Mountain will be singing standards are more with MacPhail colleagues, including the young talents of the Dakota Combo – on their own and backing Vicky on a few tunes. Free, family fun and concessions. 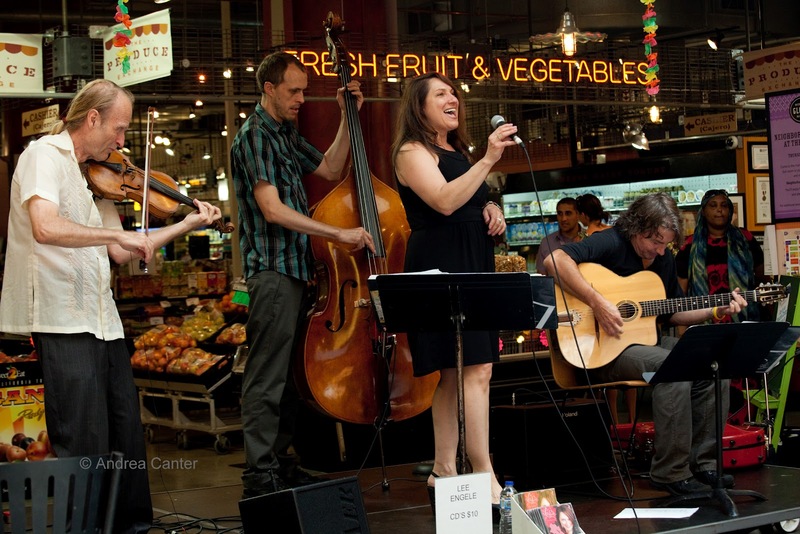 Last year the Midtown Global Market hosted its first jazz festival. This year the festival has expanded to include a wider range of music on Saturday, with jazzters Lee Engele swinging and singing at 2 pm on the inside stage with her trio, Carei Thomas and his cohorts in Ancestor Energy on the outdoor Allina Stage mid afternoon, and headliner Charanga Tropicale, led by globally inspired Doug Little, set on the Allina stage to end the evening. It’s all free with concessions from Midtown marketers. July 29. 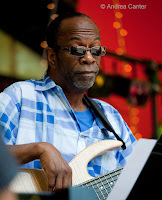 The Midtown Global Market Festival will be over, but music continues at 12:30 pm with the Chris Lomheim Trio (Gordy Johnson and Jay Epstein). Chances are high that Chris will be warming up for his annual Bill Evans tribute at the AQ in mid August! 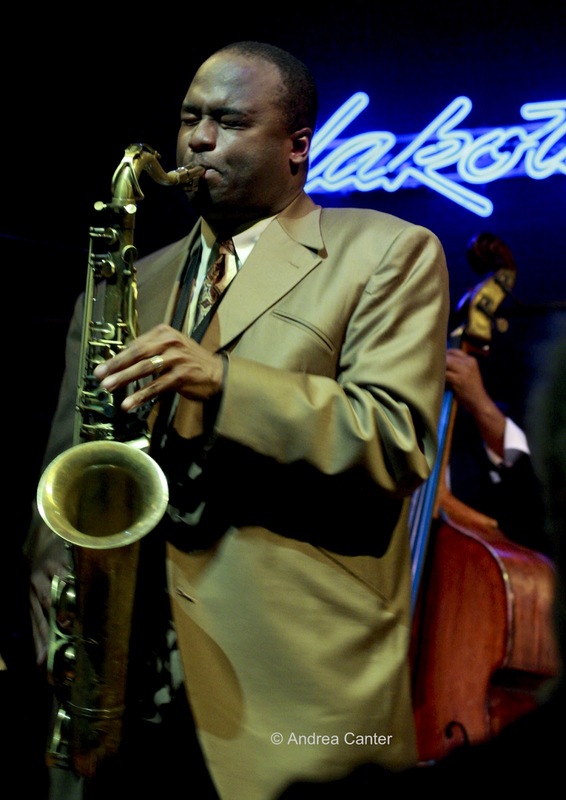 It’s been a few years since saxophone peacock James Carter came to town. 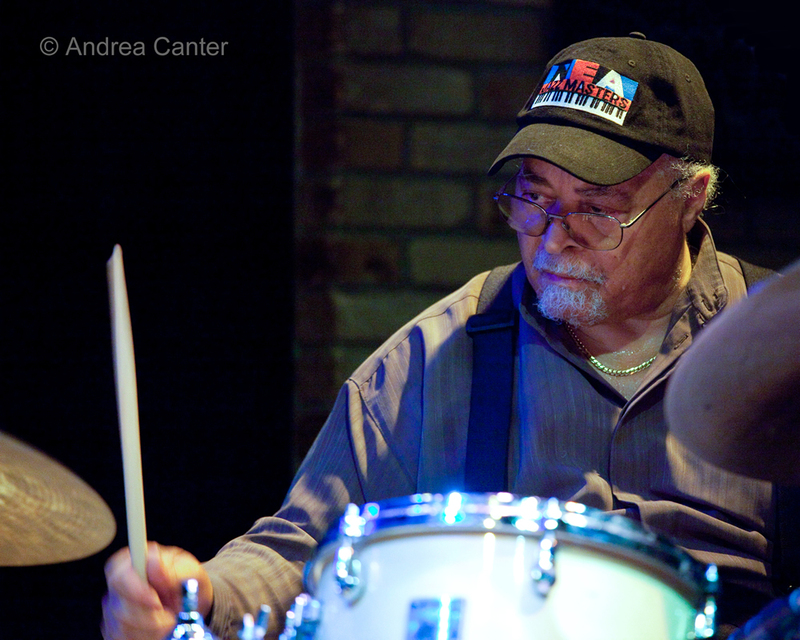 Now he’s back for just one night at the Dakota with his electrifying Organ Trio, featuring B-3 man Gerard Gibbs and drummer Leonard King—all fellow Detroiters. King has been leaving in the Twin Cities for a while, still gigging out and about with Carter and others. July 30. I’ve always admired saxophonist Brandon Wozniak’s versatility but it will really be tested tonight as he is scheduled at 8:15 at Jazz Central for two sets, but also at the Icehouse with Adam Linz and Eric Gravatt for two sets at 9:30 and 11:30. 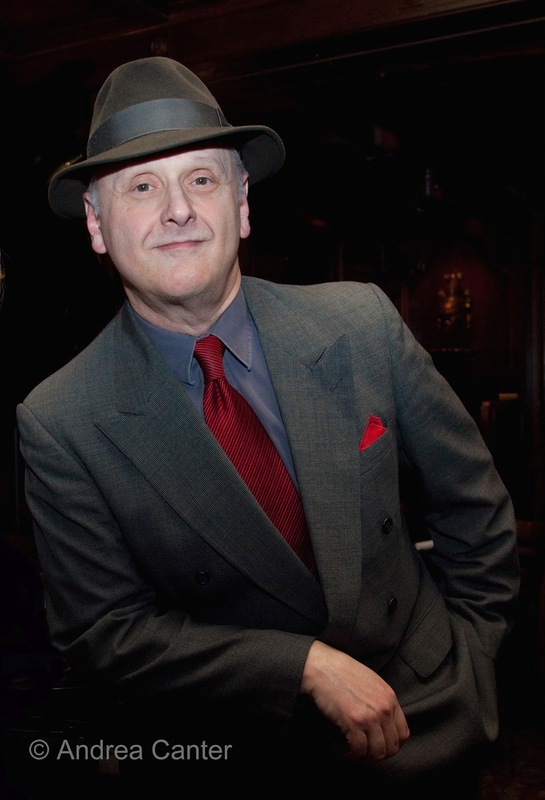 Wherever he lands, and when, it will be worth a bit of confusion to hear his spiraling tenor (or alto) and maybe a little bass clarinet as well. At Jazz Central, he jams with Tanner Taylor, Matt Peterson and Mac Santiago, which means the music could go just about anywhere. The Wozniak/Linz/Gravatt partnership was in fine exploratory form last week at Icehouse and we can expect more of their interpretations of such figures as Ellington and Monk, as well as some original fare. The chordless trio format allows plenty of space for soloing from each musician. July 31. 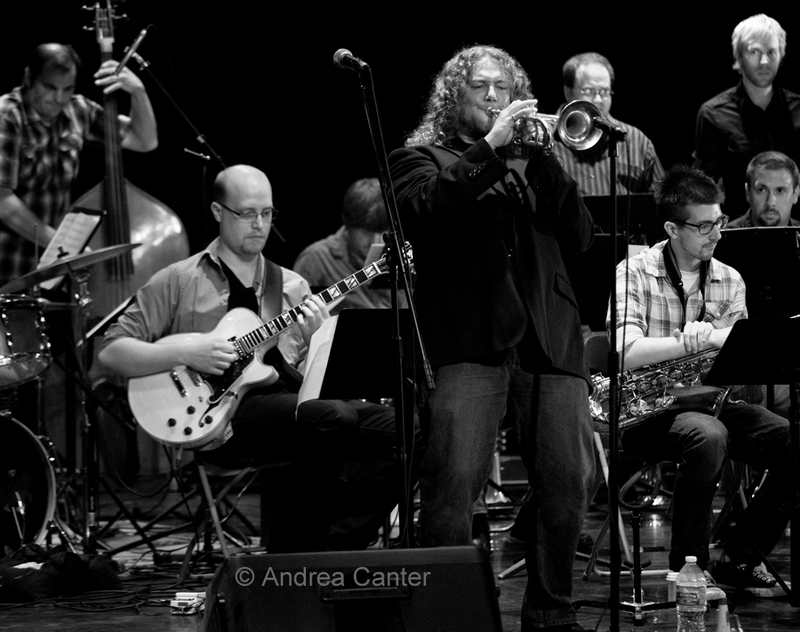 The new Big Band series continues at Jazz Central, and tonight’s featured ensemble is the sparkling, inventive Adam Meckler Orchestra. 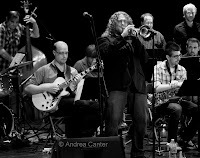 In addition to his status as one of the area’s busiest performers (with Jack Brass, X-Tet, Lulu’s Playground, A Love Electric, the Jana Nyberg Group and his own Quintet—and I probably left something out), Adam is making waves as one of the area’s top young composers; his big band arrangements suggest Maria Schneider and his orchestra features a bevy of the best young jazzers in the metro. Come early to the intimate studio space of Jazz Central or you could find yourself sitting in with the band. Wednesday night (8/1) brings three true explorers to Café Maude –maybe the best jazz and dining experience you’ll find in a metro neighborhood hang. Tonight it’s Peter Schimke, James Buckley and Jay Epstein with a side of lamb skewers, fries, or those great Hoisin ribs? 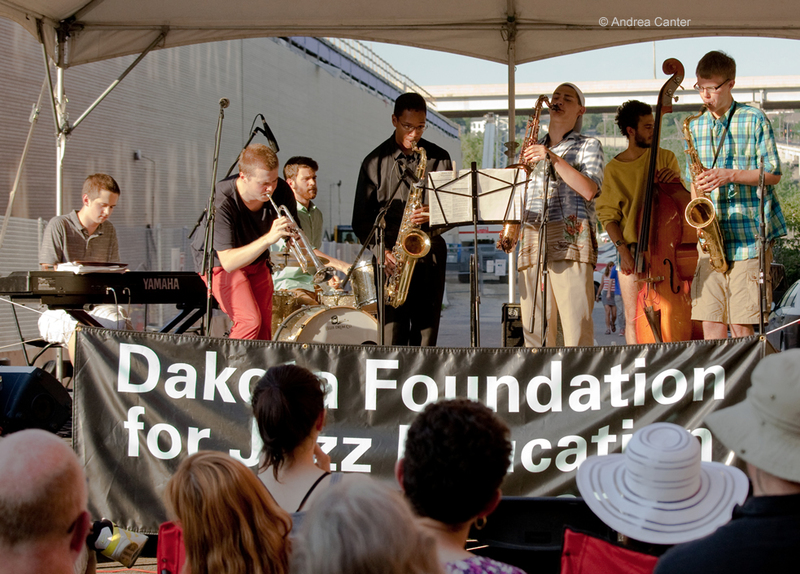 Thursday night (8/2) marks an unplanned salute to young artists at the Artists Quarter as the Twin Cities Jazz Society’s “Young Artists Series” begins a third season with a band of young lions opening for slightly older lions who debuted on the YA Series a year ago. Opening at 7 pm on the YA Series will be the Emerson Hunton Jazz Experience, an ensemble led by recent South High graduate and soon-to-be Oberlin freshman, drummer Emerson Hunton, and featuring 2 former cohorts in the Dakota Combo, saxophonist Brad Allen (Northwestern University) and bassist Caitlin Kelliher (Columbia University), along with guitarist Brett Studer. 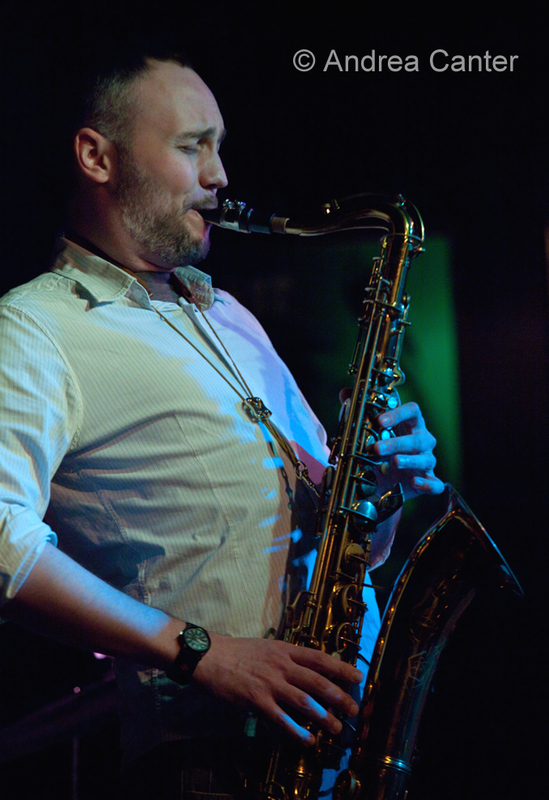 Following their set, it’s a sort of farewell gig for saxophonist Tyler Anderson who leads the Coriolis Effect. About a year ago, Coriolis Effect was the featured Young Artist ensemble at the AQ; now the band has toured the Midwest and played additional gigs around the metro area. Tyler graduated from UW-Eau Claire this spring and will head out to Durham, NC to study with Branford Marsalis, although he promises some return visits. 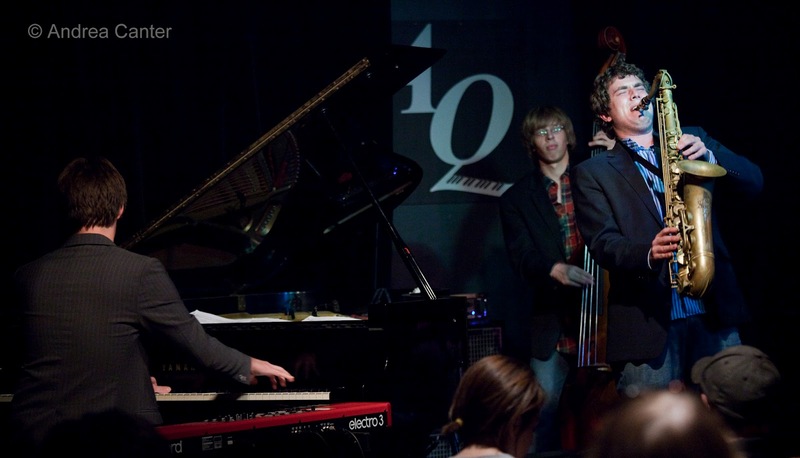 His colleagues include UW-EC students Cody Peterson (piano) and Jordan Jenkins (bass), and 2011 Manhattan School of Music grad, drummer Miguel Hurtado. You couldn’t ask for a better demonstration of the future of jazz than this double header at the AQ! Thursday, August 2. Patty Peterson and Friends at the Hilde Center (Plymouth); Bloomington Jazz Festival with Steve Clarke and the Working Stiffs followed by the George Maurer Big Band, at Normandale Lake Park Amphitheater; Arne Fogel with the Tanner Taylor Trio at Hell’s Kitchen.